With more than 1200 associates spread all across India, the US, and Middle East, Progressive Infotech has marked its presence with more than 130 locations. The company is a cloud solutions provider of Amazon Web Services (AWS). Founded in 1998, it is a leading provider of transformation services which spans across cloud, digital, and operations. Besides India, the company has also ventured into the international market. Today, Progressive is flourishing as a cloud, digital, and operations transformation services company but the scenario was different at the time of beginning. The company has traversed the journey from being a large VAR to a complete IT solution provider. With more than 18 years of experience across various Industry verticals, the company mainly focuses on helping their customers maximize returns on their existing IT investments and managing the IT as well as transforming IT to align with the constantly changing demands of their business. “We differentiate through our agile, flexible and razor sharp focus on customer experience. 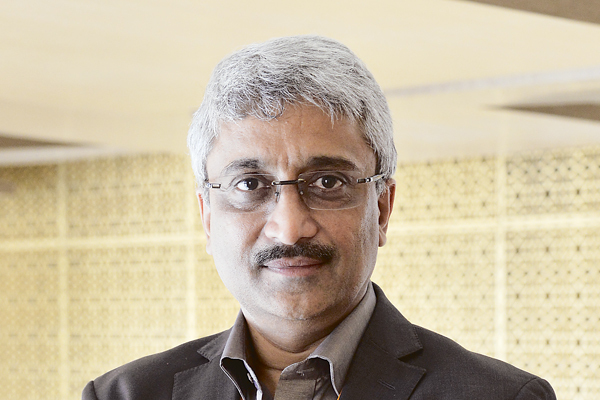 What we are doing, at this point in time, is just about IT transformation,” says Garg. “We help the customer in managing their cloud so that they can look after the business operations. We have helped organizations of all sizes and scales. From start-ups to global conglomerates, we have helped all, in managing their cloud. We, as an AWS cloud business partner, offer AWS Cloud Integration Services making enterprise’s journey towards cloud a hassle-free. Our cloud experts analyze the requirements for AWS and provide open and flexible solutions along with the internal IT team accommodating the existing IT infrastructure,” adds Garg. The company’s services on AWS include cloud consulting, migration and deployment, integration, managed services, governance, risk and compliance, application modernization, and digital services like Big Data Analytics, mobility, and automation and productivity. “We are helping customers to do IT transformation at three levels. The first level is ‘business transformation’ or how to use IT to drive business outcome with things like business intelligence, applications modernization and, collaboration. The second level is ‘operation transformation’, which means bringing method in the way IT runs in the organization and to drive better ROI and better business outcome. The third one is ‘cloud transformation’ where we consult with the customers and help them in their cloud journey,” says Prateek. “Apart from delivering faster result and at a lower cost, we help our clients leverage the capabilities of AWS. We help them achieve economies of scale and access resources when their business needs them. The best thing about AWS is its transparency, commitment, and focus on customer’s success,” asserts Garg. Manufacturing, retail, healthcare, media and entertainment, and financial services are some key verticals where the company is focusing and continue with the development.